August | 2018 | Larval Subjects . I’m slowly walking along the isthmus in Svaerholt, Norway. My legs are tired from climbing hills and mountains and I can’t move any faster through the grass and uneven terrain. Earlier in the day I helped Esther, Ingar, and Stein dig a midden outside of the ruins of the Nazi officer quarters in the village. 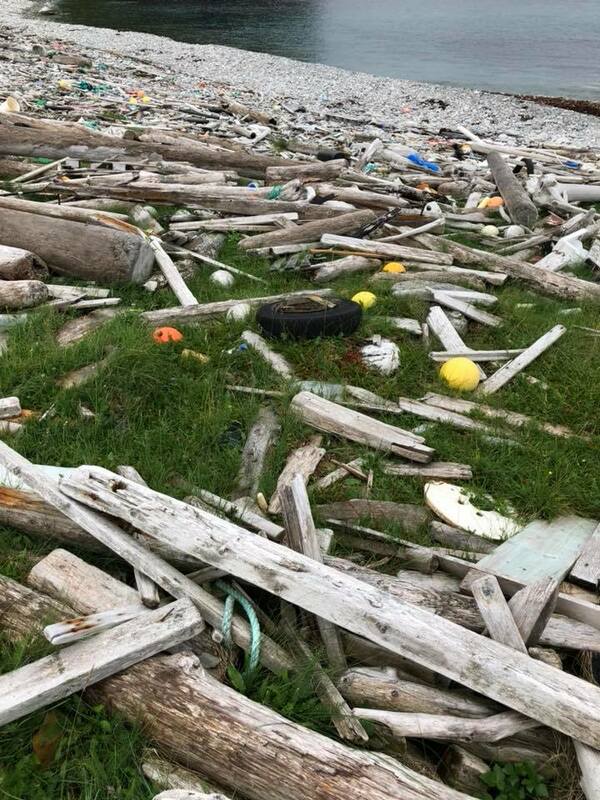 We discover piles of fish bones, whale or reindeer bones, lots of fishing hooks and nails, and shards of porcelain and glass. There are Nazi eagles stamped on the porcelain. Despite being shattered, it looks brand new. Despite the discomfort of laboring over middens, carefully peeling away layers of dirt with a trowel, archaeologists have the best job, I think to myself. Everything they find is treasure, even cod bones and mysteriously bent, rusted nails. For weeks I’ve struggled with how to compose this post because my thoughts feel all chaotic and jumbled. However, the name of this blog is “Larval Subjects”. This blog is a place for the development of half-formed, perhaps ill advised or poorly conceived thoughts. For no thought can be thought before it is thought, and thinking a thought has a certain element of materiality to it, found within speech and writing. Contrary to Aristotle’s Peri hermenaias, where speech is a sign of thought and writing is a sign of speech, such that thought is conceived as an origin or spirit that precedes speech and writing, there is always something nachträglich in thought. One never truly knows what they think until after they have done, said, or written it. Thought is not what precedes our action, speech, and writing as an arche or origin, but is what will have been. At least that’s how it is with me. Perhaps others have a presence of mind that precedes speech and writing, yet I am skeptical because even in such instances there is internal monologue which is a certain doubling of the subject as a fold between self and an other that one is and which is a work of composition. The process of acting, speaking, and writing is not a relation like the relation between clothing and the body, but is the very process by which the body is constituted. L’habit fait le moine. I will therefore proceed imprudently and recklessly, inscribing these thoughts in hope that they become a thought, inscribing these thoughts in hopes of some order emerging from the noise of this jumble when I try to think through the Unruly Heritage project. What is this thing that we call heritage? Maybe we get a little further with Deleuze and Guattari. In A Thousand Plateau, Deleuze and Guattari argue that every social assemblage is dually articulated between what they call a “collective assemblage of enunciation” and a “machinic assemblage”. Moving quickly (there’s much more to it), collective assemblages of enunciation are the domain of discourse, speech, the symbolic, communication. In Kafka: Towards a Minor Literature, they say that there’s an anonymous murmur of language that precedes us and moves through us. There is something imperative in this anonymous murmur that commands us to repeat. If this murmur is anonymous, then this is because it is the speech of no one in particular. There’s no origin to it, nor any author. I’m working here from memory of the text, so maybe I’m getting it wrong. But maybe that’s how it is with collective assemblages of enunciation. Just as speciation takes place through geographical isolation and genetic drift, culture and heritage change precisely through unfaithful repetition– which is no ones intention in repeating –that gets it wrong. It’s August 2nd, 2018 and we’re preparing to depart from Tromsø for Honningsvåg to meet the fishing boat that will take us to the remote peninsula of Svaerholt. We will first go to Finland to pick up supplies. This part of our journey takes us two days, but the drive is breathtakingly beautiful. I’ve lived in some truly gorgeous places in the United States, but I’ve never seen anything like I see here. Along the way there are endless mountain peaks, rivers, and reindeer. 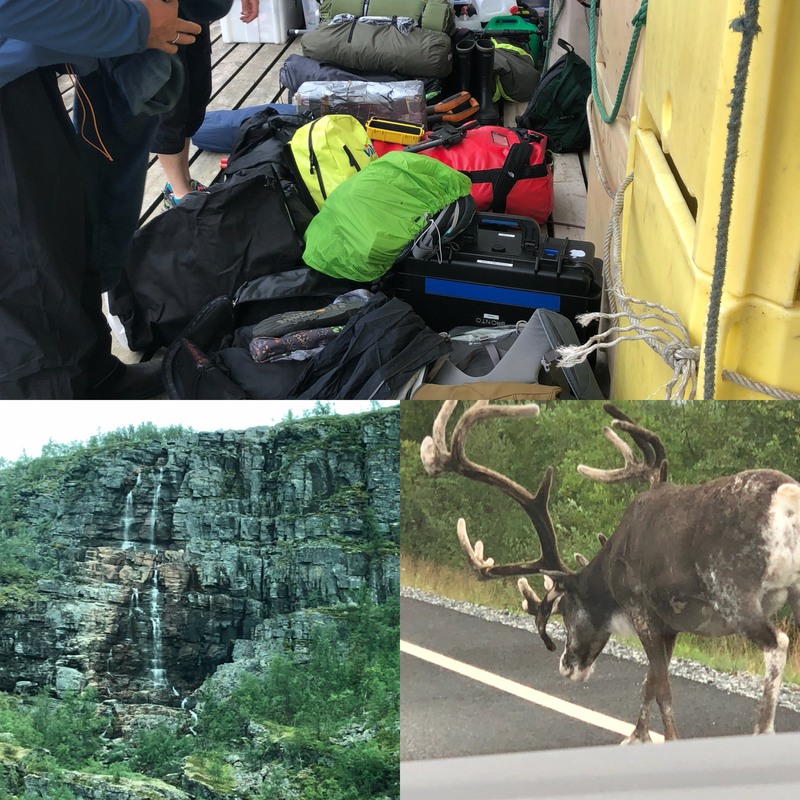 Indeed, crossing the border to Finland, the first thing we see ambling along the side of the road is a reindeer running along like a jogger in the States. 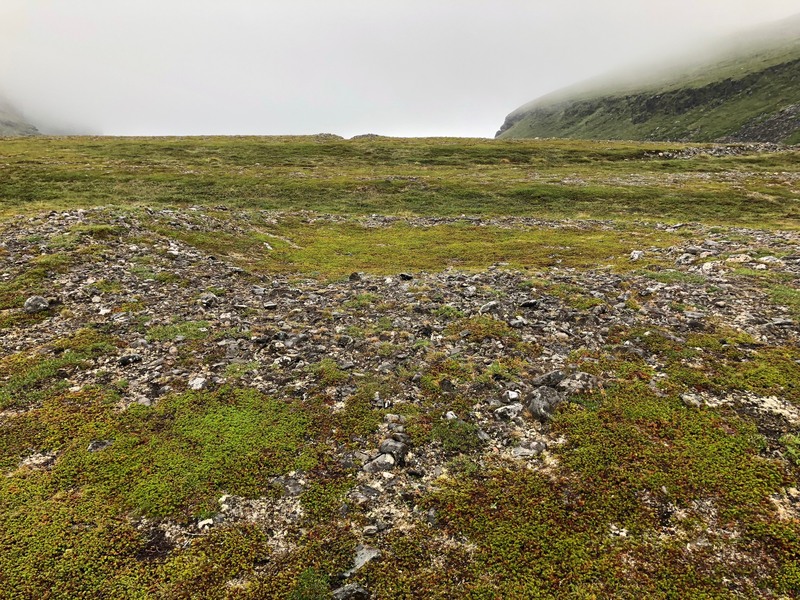 It takes an incredible amount of supplies to go on an expedition like this and we’ll have to carry them all to our camp from the beach when we reach Svaerholt. That day will be one of the most physically demanding I’ve ever experienced. Prior to departing, they have taken me to the Archaeology Department at University of Tromsø. They show me where they store the finds from previous digs and expeditions. 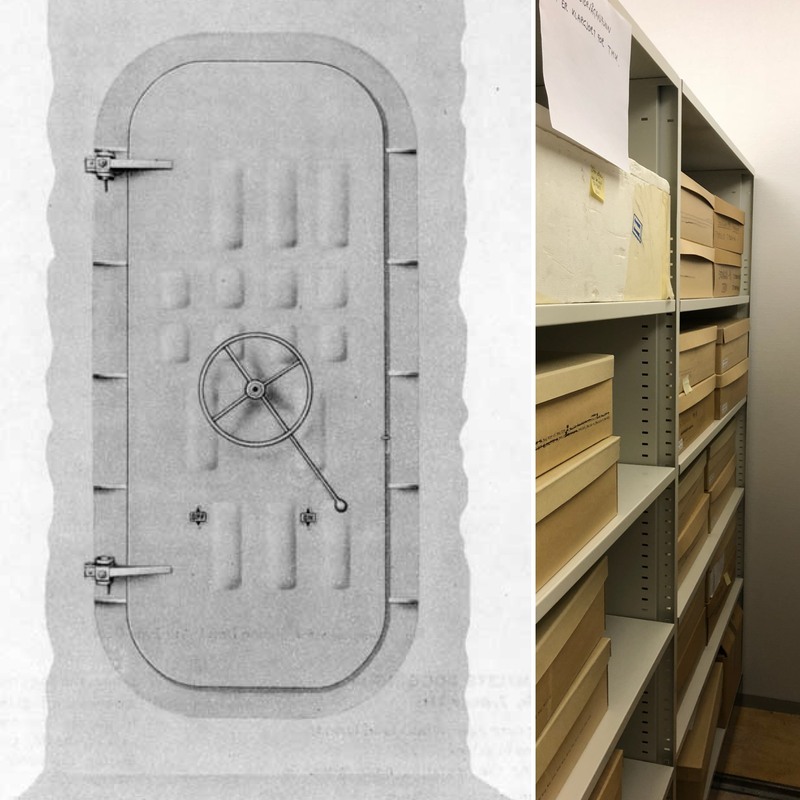 There are handwheel doors similar to those that you would find on a ship and behind them are boxes and boxes of carefully catalogued and bagged materials. Stein Farstadvoll pulls out a couple boxes at random and we go into another room to explore their contents. There are bags upon bags of rusting nails, fish hooks, fish bones, shards of porcelain pottery, bits of the clogs that the prisoners wore, schnaps bottles from the prison camp (which are both surprising and suggestive), and other things besides. As I look at the catalogue scheme, I can’t help but think of Latour’s article “Circulating Reference” in Pandora’s Hope. There, right before me, is a stage in the referential process. I won’t see other stages until three days later when I help to dig trenches in middens in the cold gray rain of Svaerholt. I express a feeling of being overwhelmed to Chris Witmore, that I don’t know how to put all of this together. I feel as if I’ve been confronted with the categorization system Foucault describes at the beginning of The Order of Things. He smiles and makes the melancholy observation that occasionally an archeologist dies and we lose the thread that ties and links these things together. I’m crushed by this thought and have been thinking about it ever since. These are very preliminary thoughts, so perhaps I shouldn’t be writing them, yet I want to get them down nonetheless. It seems to me that there’s a very real sense in which ruins present a sort of quasi-phenomenological way of thinking past correlationism or that philosophical framework in which we can only ever think the relation between between the subject and the object and never either term considered apart and in itself. Within the correlationist framework the tendency is towards idealism, reducing the thing or object to human representations, meanings, uses, intentions, and significations. In ruins we encounter the thingliness of things beyond the human. In encountering ruins it is not unusual to have an experience of the uncanny or that things are haunted. Where does this attunement of the haunted come from? To be sure, part of the sense of haunting comes from the traces of humans that are now gone in this place. However, what if the experience of the haunting comes phenomenologically from something very different. What if what is haunting about ruins is not that these places contain traces of humans that are now gone, but rather that they present us with the presence of things beyond and apart from the human? Ruins present us with a life of things after and beyond humans, unshackled from our use and meaning, taking on an agency of their own. In a certain respect, they therefore also confront us with our own absence and death. We are not haunted by their absence, but by our absence. The presence of these things is the presence of our absence. There is a sense in which ruins are a blow to our narcissism. Let’s recall the original story of Narcissus. He is captivated by his own image as if it were something other. In a very real sense, this is what correlationism is. The correlationist framework sees us in all things. Things are merely the vehicle of our meanings, intentions, significations, and uses. In ruins we have an experience of the dehiscence of the correlate and the existence of things beyond the correlate, or the manner in which “they do just fine” without us. We encounter things that bear the traces of meaning, signification, and use, but in a beyond where they have been shorn of these things. Ruins present us with the thingliness of things or the existence of things no longer subordinated to signification. This experience is an allusion to that uncanny other world of a world without people and without our gaze that is a blow to our narcissism or belief that things are only things in correlation to us.